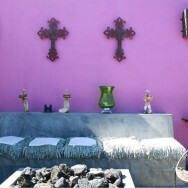 We have been living in Baja California Sur, Mexico, for more than ten years already. Baja is a peninsula, but you could almost think of it as an island, since the furthest we can reach within a day by car from Cabo is La Paz or Loreto, and we haven’t even left the state, let alone the country. 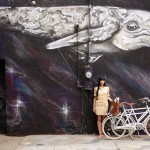 When in Baja, if we want to go someplace more urban, we need to fly. That’s why, every time we are in Slovenia in Europe, we just sit in a car, and drive everywhere. We feel that in Europe everything is so close and easily reachable by car, and highways are just a delight. 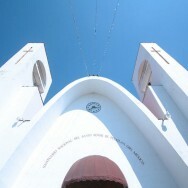 Last year we did road-trips to Croatia, Bosnia, Montenegro, Serbia, and then Italy, Switzerland, Germany, and France. This winter (December 2017/January 2018), while we were based with my family in Ljubljana, Slovenia, we decided to visit Trieste and Milano in Italy, Vals in Switzerland, as well as Vienna, Austria, since Mariano hasn’t visited it yet. The last time I’ve been to Vienna was probably about 20 years ago and was looking forward to seeing it again. It’s hard to go on a road-trip, when your car is 1,000 km away, in Mexico. Typically, we borrow the car from my parents, but we didn’t feel like leaving them car-less in the cold winter. 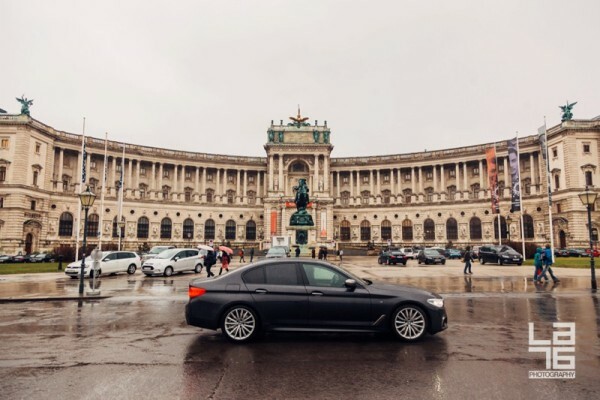 Luckily, the good people at BMW Slovenija lent us the new BMW 550d xDrive business sedan so that we could enjoy our road trip to Vienna guilt-free, comfortably, and to be honest, very luxuriously. Winter days in Vienna brought some rain, but the entire journey and sightseeing with our BMW was a blast! 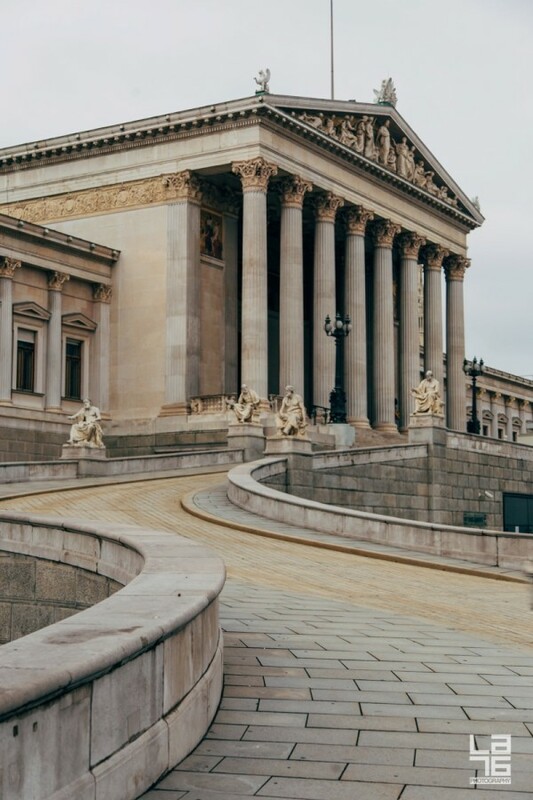 In Vienna, the time seems to stand still. 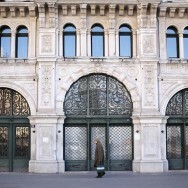 The grandeur of the baroque buildings evokes the old-world sophistication. 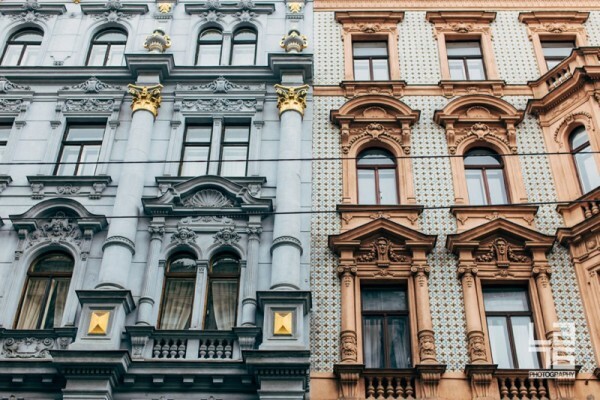 If you look up at all the Classical, Gothic, Renaissance, and Baroque buildings, you can almost feel you’re back in time when Freud, Schiele, Klimt, and other writers, philosophers, musicians, and thinkers, were gathering at Viennese cafés, smoked cigars, drank first versions of mélange, or – better yet – chilled glasses of grüner or riesling, and recited poetry. 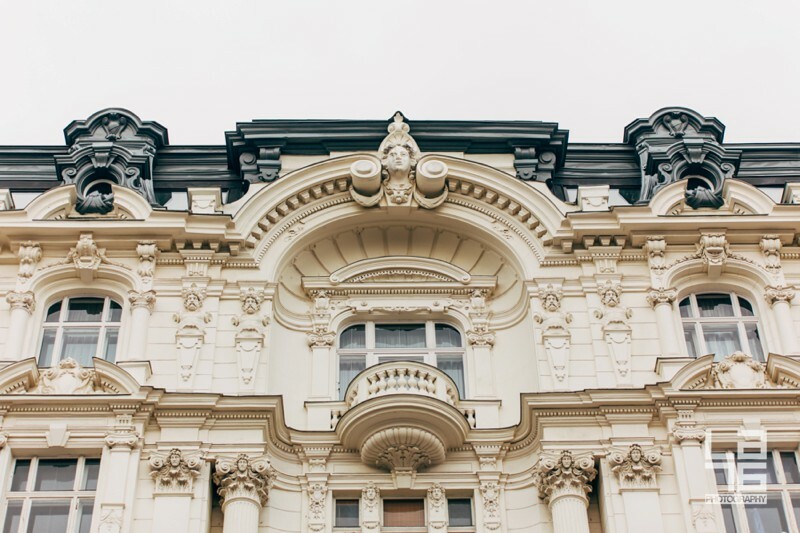 Vienna is classic and modern at the same time. 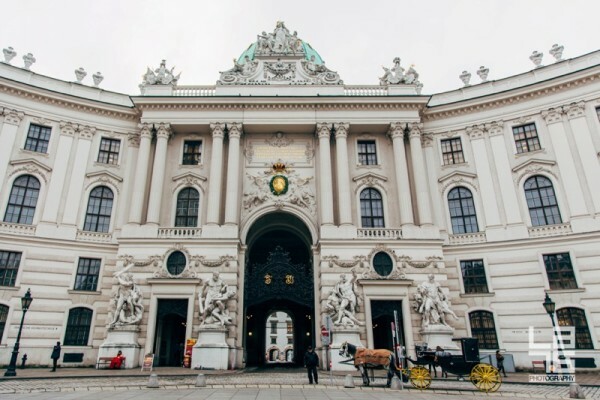 The baroque streetscapes and opulent palaces set the stage for a highly impressive lesson in history, art, and culture, and we just walked, and walked, and walked everywhere, and soaked it all in. We also loved having coffee & cakes at the traditional coffee houses and discovering some of the newer food, wine, and shopping experiences. 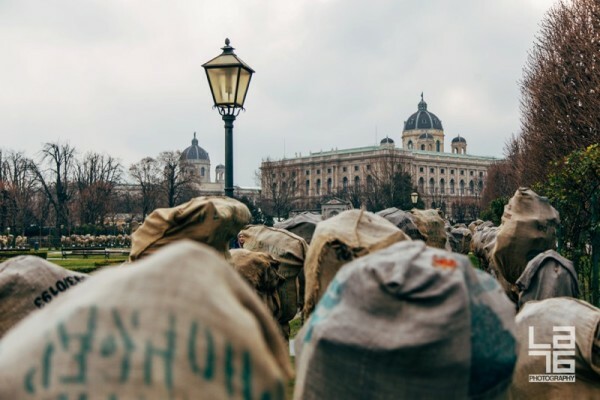 48 hours is definitely not enough to experience Vienna as much as we’d love to, but we had a good taste of it, and we’re ready to dig deeper into it next time. 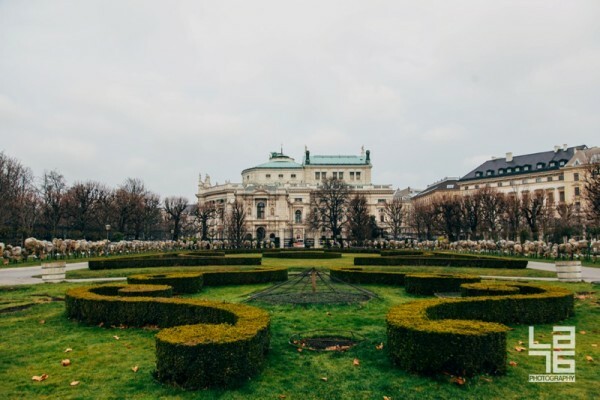 Because of our timeframe and rainy winter weather, we left out the beautiful Viennese palaces for a summer visit, when the palace gardens will be blooming. 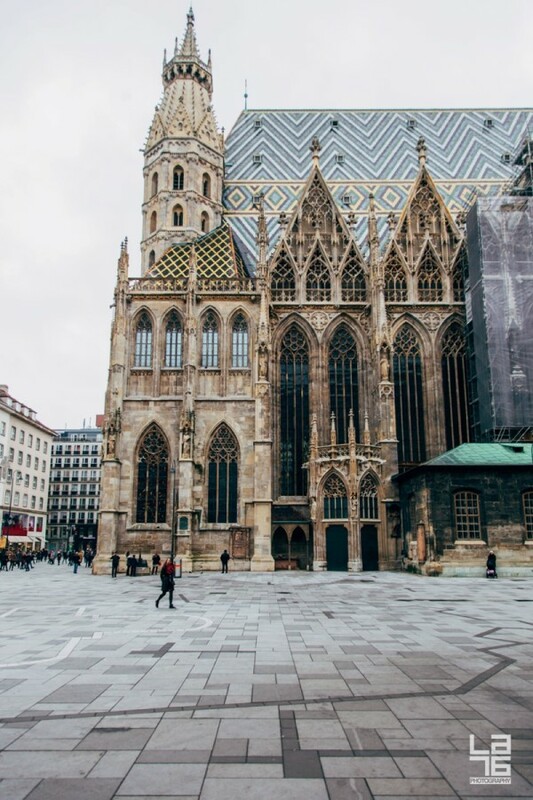 Below are some of our favorite places we’ve visited and experienced on our road trip to Vienna this winter. 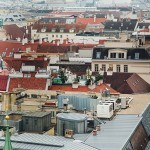 + Vienna rooftops and streetscape from Stephansdom. 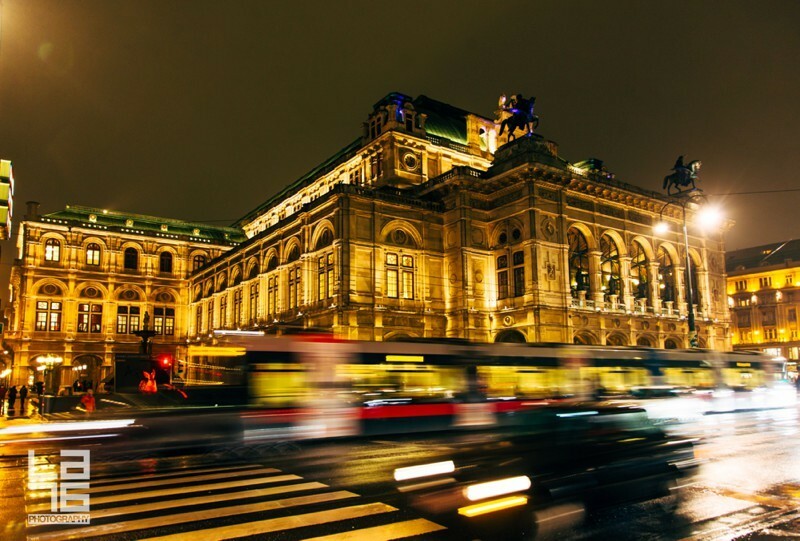 – Wiener Staatsoper, or Vienna State Opera is a must. 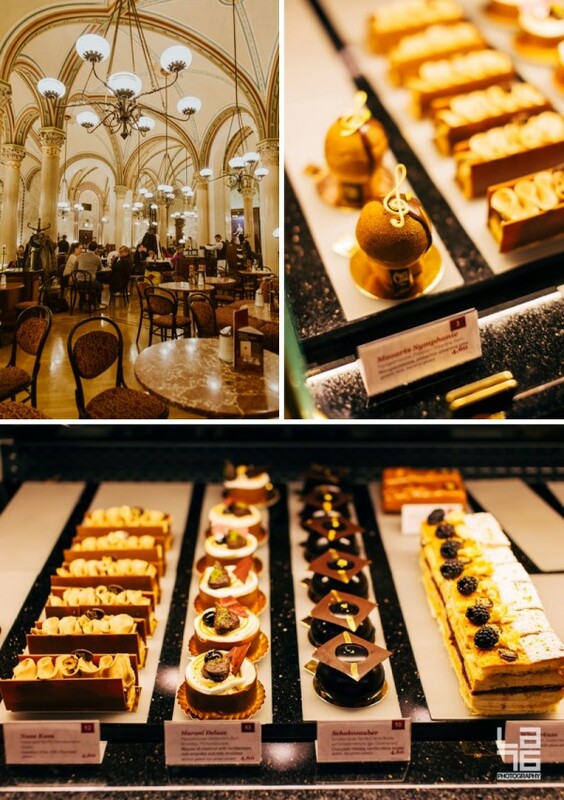 – Hotel Sacher for a piece of traditional Sacher torte. 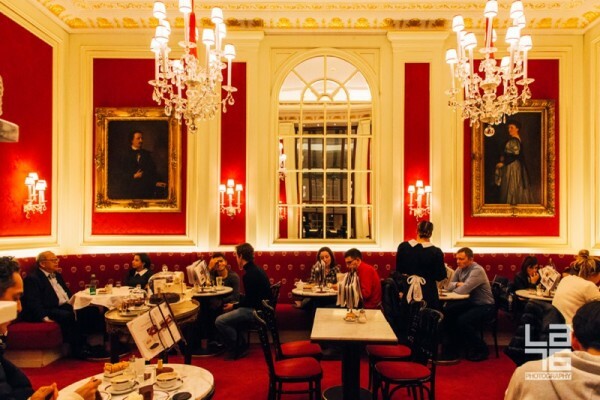 – Café Central, established in 1876, was built by architect Heinrich von Ferstel (who had a vital role in developing the 19th century Vienna) and was a regular go-to spot for Freud, Trotsky, and writers and poets Polgar, Zweig, and Altenberg. 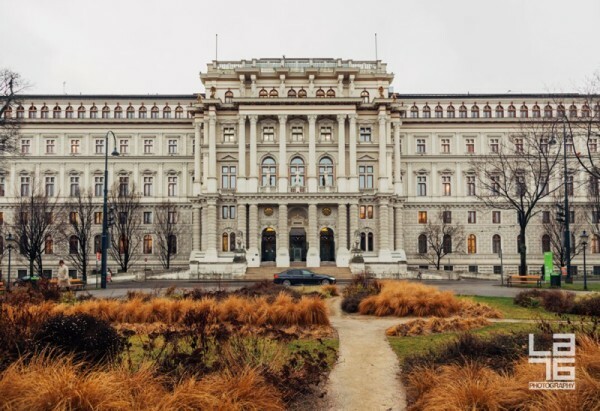 – Vienna Ring Road, a boulevard that goes around the historic Old Town of Vienna (Innere Stadt), and where many historical buildings are situated as well. 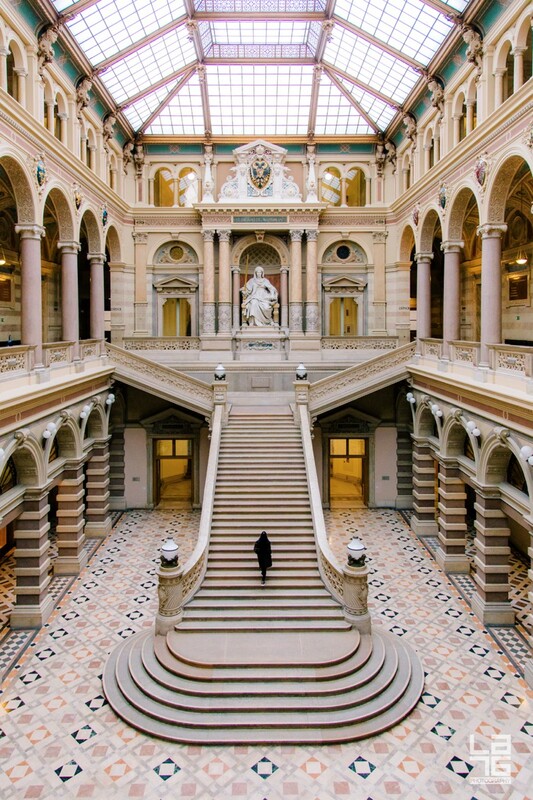 – The Palace of Justice is so far my favorite building. It still serves as the Palace of Justice, and it makes me happy to think that some people actually work there and get to enjoy it every day. – Stephansdom and Stephansplatz. Climb the Stephansdom South Tower; 343 stairs on a dark spiral staircase will make you dizzy more than once, but the views from a lookout point are beautiful. 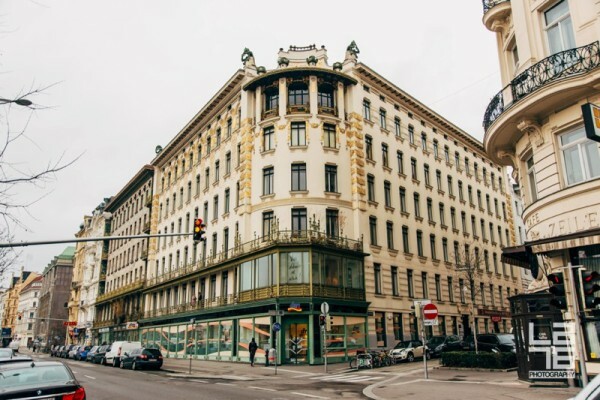 – The Graben street is probably one of the most famous streets in Vienna’s city center, surrounded by beautiful historical buildings, stores, and boutiques. – Outside of the center, we visited Supersense; which is a combo of a coffeehouse, restaurant, and store. 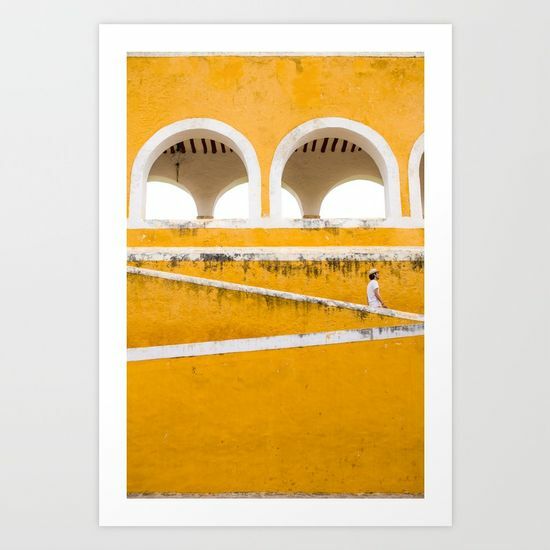 They host indie concerts, letterpress workshops, sell vinyl record players, and the world’s biggest polaroid camera (one of only seven left worldwide), which can take your polaroid photo size 51×61 cm for 250 EUR. 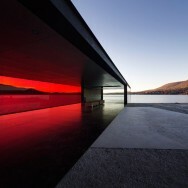 – Zweitbester: really cool new restaurant we visited for dinner, amazing food, cool crowd, great ambiance. We heard they are popular for brunch as well. 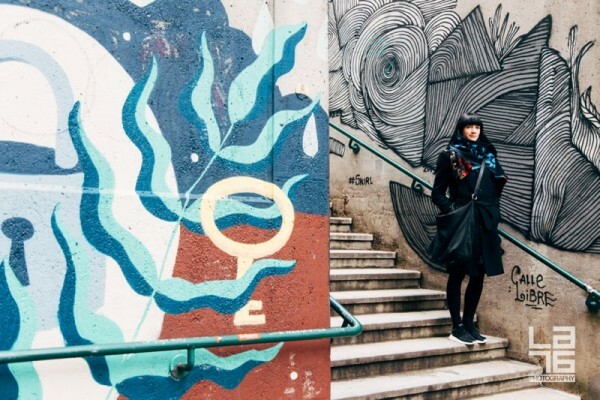 They also have art exhibitions and, we heard, concerts that are occasionally taking place in the bathroom. – Randale: a relaxed place for pizza (dare try Viennese blood) and wine. DJ lineups are supposedly great as well. – If Dogs Run Free: a cool place with a cool name where we went for after-dinner drinks. – Radio Station >>> fm4.ORF.at – this station was full of gems! 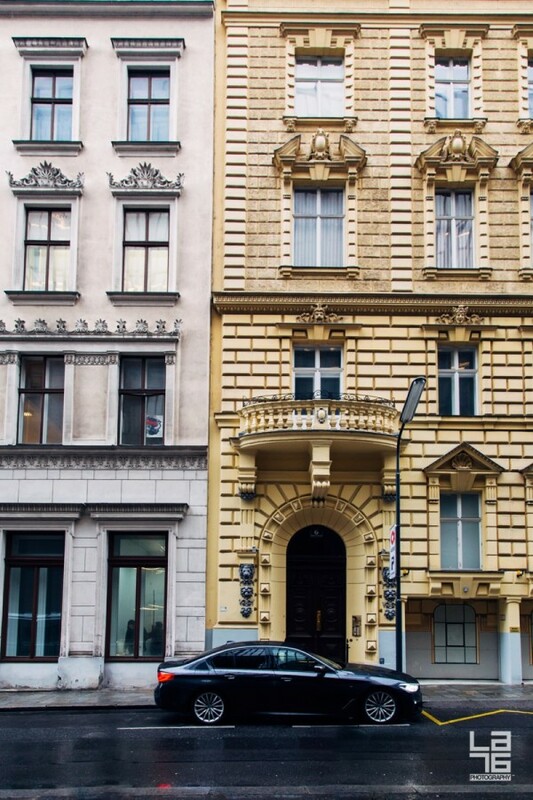 + Vienna streets. 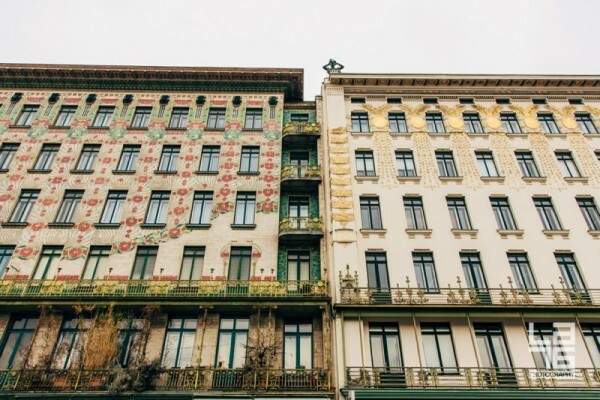 + Art Nouveau buildings in Vienna. + Vienna ornaments & buildings. – Seat Massage: for someone who loves taking road trips, there’s no greater luxury in a car, than a massage offered right on your seat. The BMW M550d xDrive sedan provides not just one type of massage, but several: shoulder massage, back massage, and whole body massage. The massage is available for the driver and front passenger seat. Seat warm up: sitting on a cold car seat early in the morning during the winter is no fun, that’s why we loved our seat warm up functions, which warmed up the seats in seconds! Besides seat warm up function in the winter, the car also has active ventilation for front seats, which I’m sure I’d use a lot during summer. – Head up Display & Adaptive Cruise Control: the head-up display, projected on your windshield, integrates the adaptive cruise control and navigation system, showing both your current speed and the speed limit, as well as the approaching or new speed limit, which get detected by car’s stereo cameras and mapping data; so that all you need to do is click up or down on the cruise speed control to go straight to the new limit. This was probably one of the most used features for us since we were driving on unknown roads and streets, and trying to keep up with street signs and directions would sometimes be too overwhelming. + Navigating through Vienna center with ease. 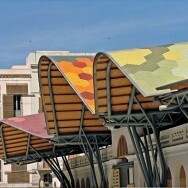 – Different modes of driving: comfort, sport, or eco. When driving in towns, we used the ‘comfort’ mode drive, and by using the eco-drive on highways, we were able to lower the fuel consumption from 9.8 l/100 km (from the time when we received the car) to 7,6 l/100 km, when we returned the car. 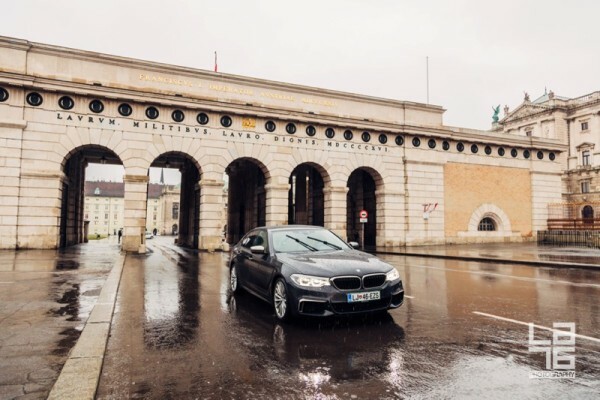 We regret not being able to test the ‘Sport mode’ of our BMW M550d xDrive sedan, but with the fog, rain, and unknown streets, we preferred to leave that to some sunny days in the future. – Remote parking: this feature completely blew us away. What it does is basically you control the parking of the car from your remote control by standing next to the car (not being inside the car), and navigating the parking of the car into a tiny parking space, where it’s hard to open the doors completely, or when you’re trying to take out the car and the person parked next to you parked too close. It almost feels like science fiction, but it’s real and very cool (and useful)! See the video at the end of the blog post of me navigating the car remotely from the parking lot. 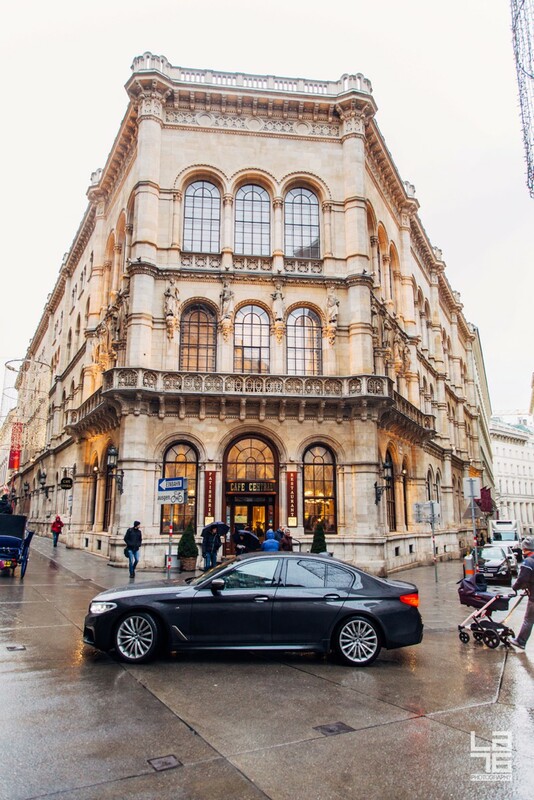 + Sight seeing with the new BMW M550d xDrive business sedan in Vienna. – Another thing that completely felt like Matrix was navigation control with motion gestures; this means that I could increase the volume of the song I liked with a circular hand motion to the right, and lower the volume with a circular gesture to the left. Similarly you can also reply to a phone call (air-swipe right to answer the call, or left to decline). Loved it! – Two safety functions that we gave thumbs up were Automatic People Detection near your car (the car would break automatically if a pedestrian stepped in front of your car unexpectedly), and Dynamic Stability Control, which for example helped to steer the car between the white lines on the highway. – From a design perspective, we loved that the interior of the car always has a subtle light on the interior of the doors, which creates a beautiful ambiance, and enables you to find your wallet, phone, or other things, when driving at night. + A stop at the National Library, Vienna. – Both front seats were super comfortable and electrically adjustable (you can save two favorite positions and use them as needed). My husband Mariano is 1,95 cm tall, and he usually always has issues with legroom, in cars he always has to pull back his seat a lot. In BMW M550d xDrive sedan he could seat normally, with more than sufficient legroom, being seated in the front or the back. – Some of the modern luxuries were also Wireless Charging of our mobile phones, and Harman Kardon Surround Sound system, which means a lot to music lovers like us (read below about the bands (two Austrian ones) that we discovered on this trip! 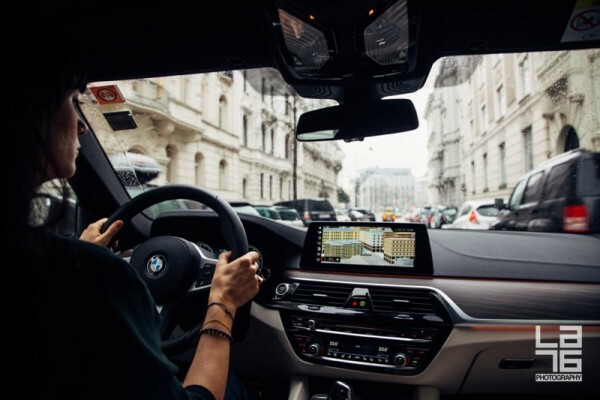 – Another important feature: BMW M550d xDrive business sedan has a big size diesel fuel tank, which took us from Ljubljana to Vienna and back with no fear of running out of fuel (we made about 1,000 km). + Vienna ornaments. 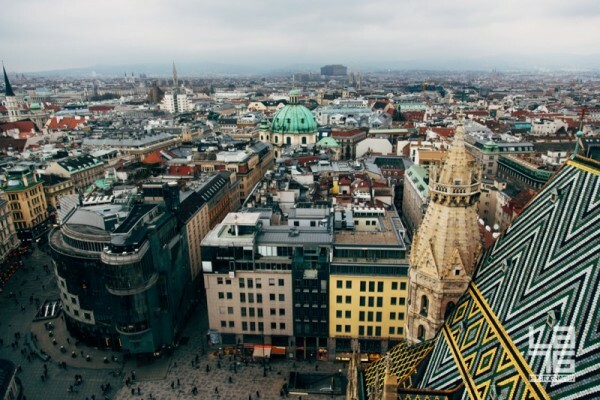 + Vienna, Austria. 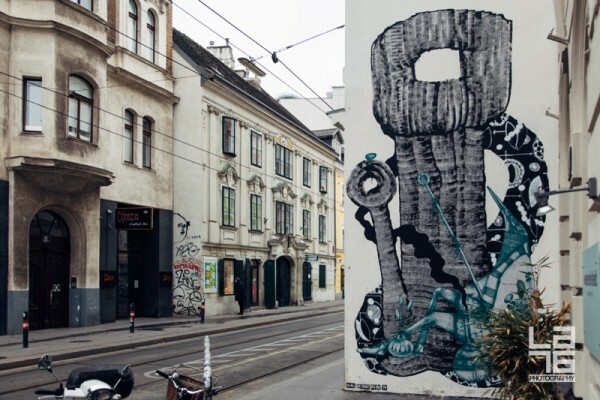 + Streets in Vienna. 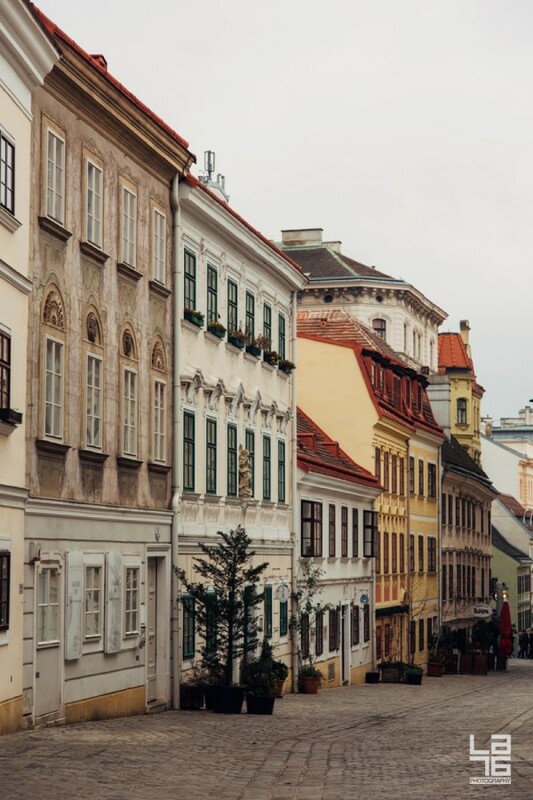 + Vienna Old Town. 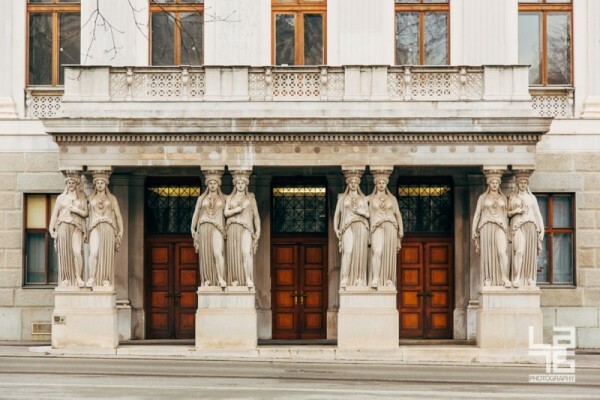 + Back door of the Austrian Parliament Building. 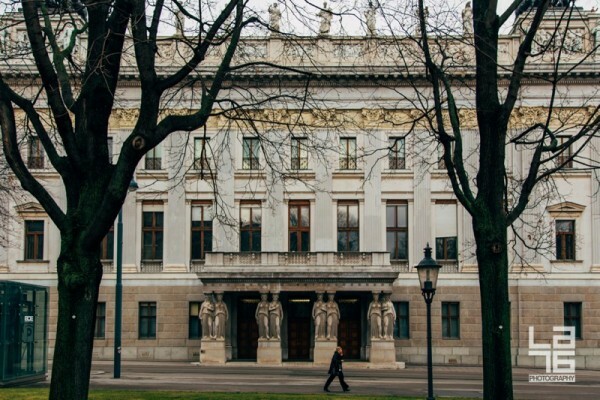 + Back door of the Austrian Parliament Building. + Austrian Parliament, Vienna + Stephansdom, Vienna. 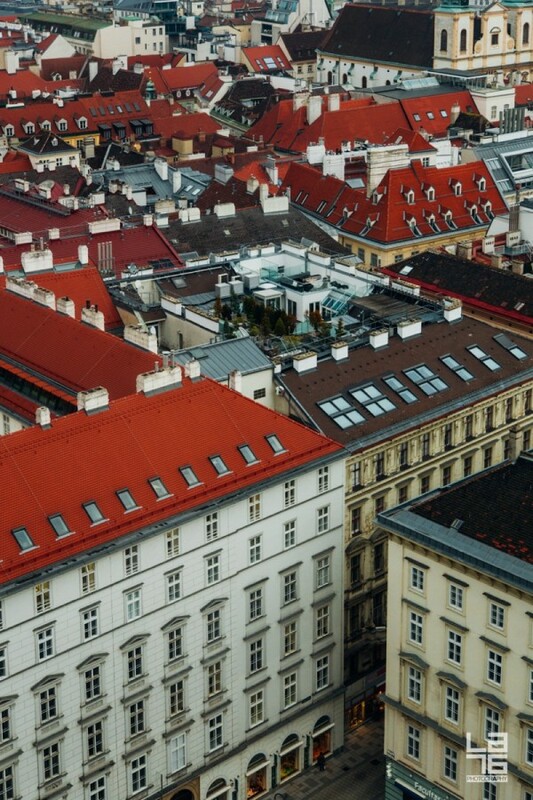 + Vienna rooftops. 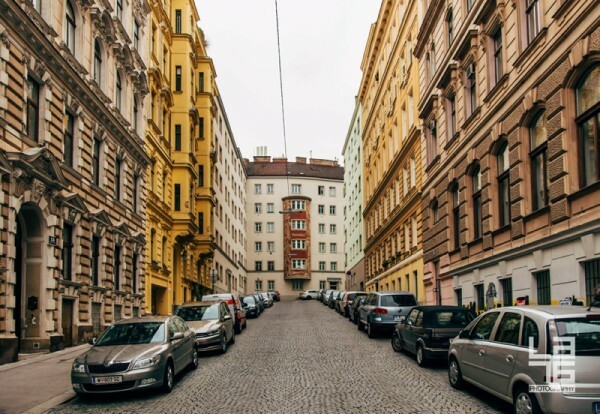 + Exploring the streets of Vienna. + Tree protection in Vienna gardens during winter. + Vienna gardens look beautiful even in winter. 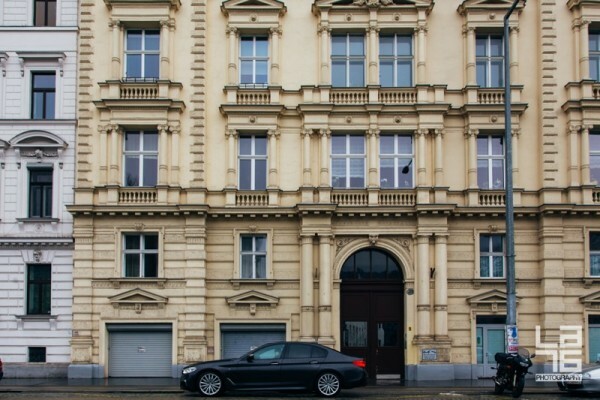 + Vienna road trip with BMW M550d xDrive business sedan. See other detailed specifications and car features here. More info about BMW 550d xDrive business sedan and BMW Slovenija here. 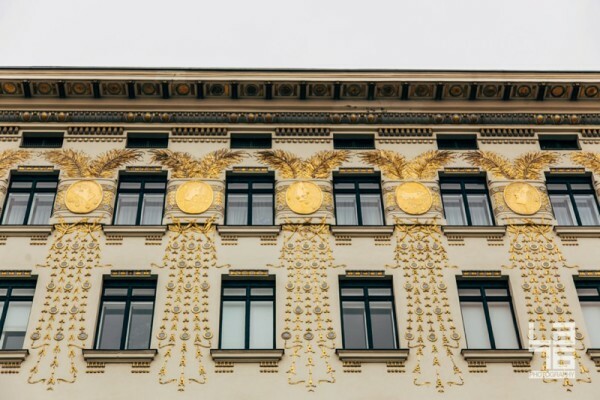 Please can you correct the title below the photo of buildings in Linke Wienzeile street bucause it is not baroque building it is Art Nuoveau building. Thank you Biljana, I appreciate it! Just a small correction, it’s Art Nouveau. Greetings from Cabo San Lucas!